Repairs - Music Emporium, Inc.
Music Emporium, Inc. is your full-service repair center for guitar, bass, and nearly any stringed instrument. 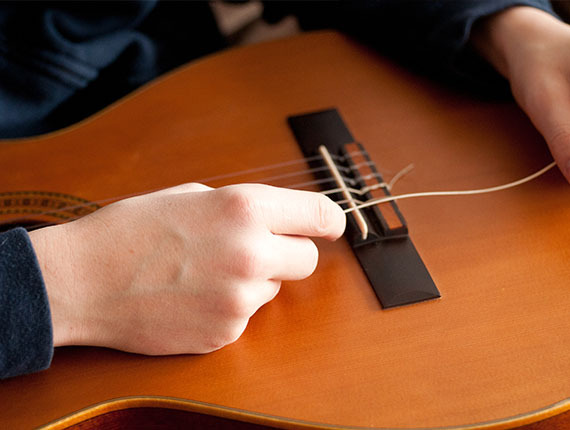 We offer in-store service for a variety of basic repairs - such as restringing, set-up, intonation, electronics work, pickup installation, and more. 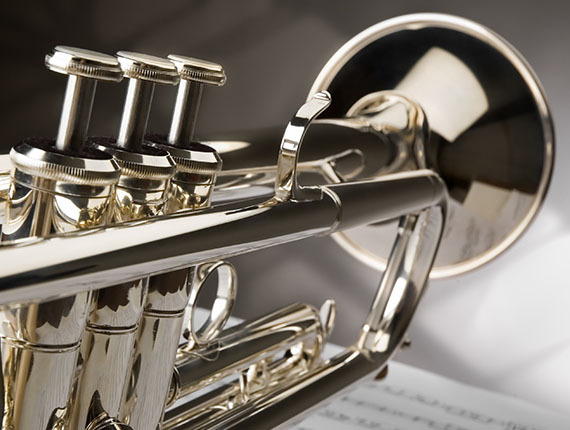 Bring your instrument by for an evaluation, and our experienced technicians will be happy to get the repair process started for you! Many basic repairs can be completed within a day or two (dependent upon our workload). For more complicated jobs, our luthier is available to help. Working from his fully-equipped repair studio, he can perform advance neck adjustments, body and structural repairs, and any other job that cannot be completed on-site. Repair pick-ups and drop-offs occur on a weekly basis (every Tuesday), so please allow two or more weeks for advanced repairs. Check out our rate chart below for estimates on some of our more common repair services. Our staff will be happy to provide estimates prior to completing repair work upon request. 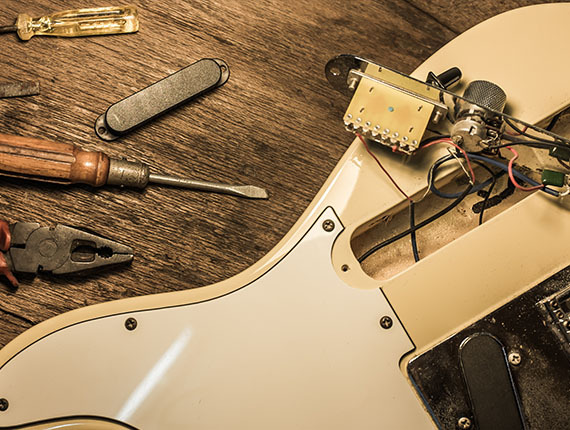 In addition to being a full-service guitar repair shop, we are proud to offer repair services for a variety of other instruments. 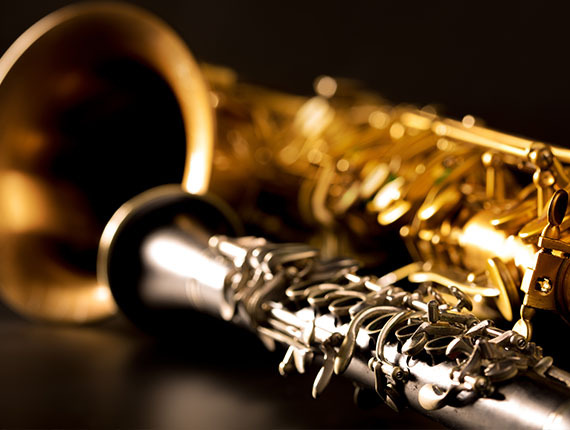 For woodwind and brasswind instruments, basic repairs can be performed in house. More complex repairs, such as valve repair, re-padding, etc. will be completed by our repair technician who is a 35-year veteran of such work. Stop by and drop your instrument off at any time! Estimates are available upon request. 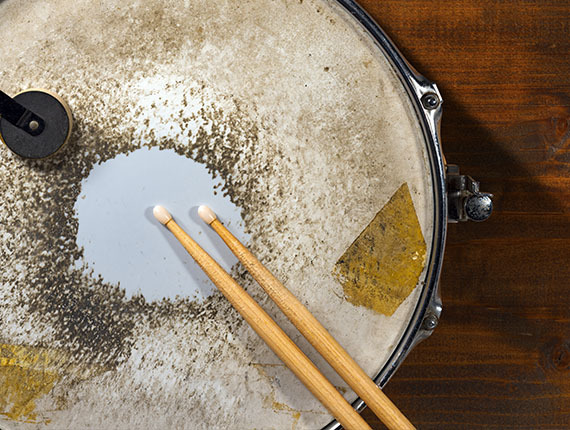 Our in-house drum tech is here to help with any drum problems you may have. From the most basic of repairs such as head changes or tuning, to hardware replacement, to custom refinishing - we're here for you! Contact us for an estimate or stop in today! Our experienced electronics repair technicians are available to fix nearly any technical issues you may be having. Music Emporium offers a full range of electrical repair services - from basic diagnostics to complete electronic rebuilds. Instrument amplifier repairs are the most common electronic repairs. 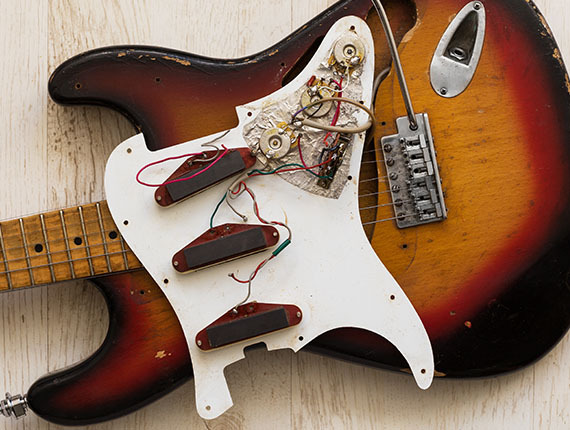 Our technicians are certified by several brands, including Fender®. From simply replacing a jack or speaker, to circuit-level repairs, we have you covered. 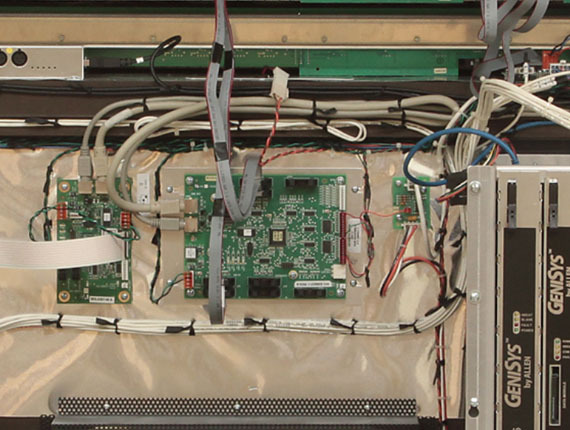 We are also able to repair nearly any piece of pro audio or video equipment you may have. Mixers, amplifiers, speakers, processors, projectors, and more - no job is too big or too small. 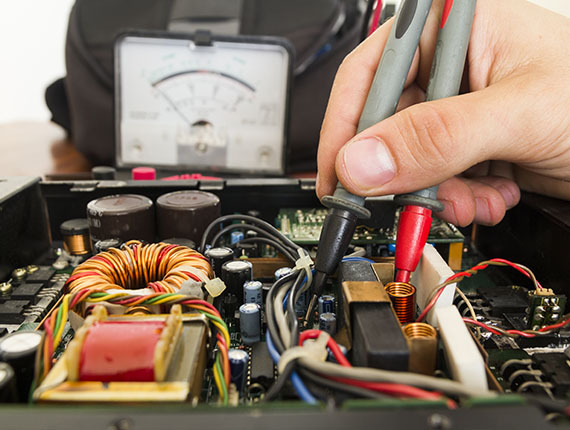 Common repairs include blown speakers, burned-out amplifiers, broken jacks or knobs, and circuitry repair. We are certified to repair most major brands of pro audio and video equipment in-house, using genuine name-brand components. 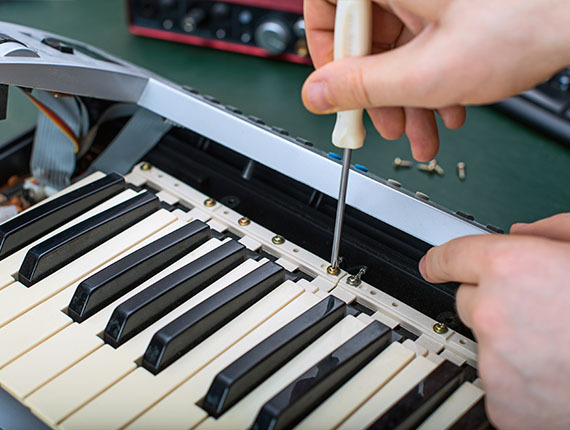 In addition, our repair technicians are able to service electronics issues with keyboards, digital pianos, and electronic organs. Once again, we are certified for most major brands and will perform repairs in house or on-site (when necessary).